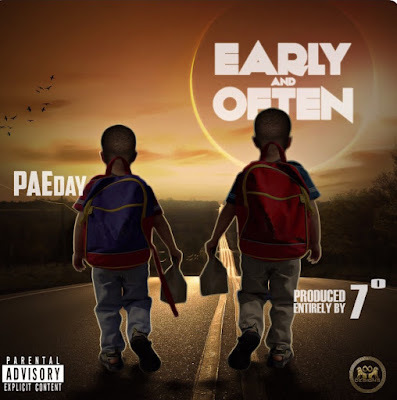 PAEday has just released his first project in 5 years titled, "Early & Often." Teaming up with producer 7°, these two created a four-track lo EP of pure genius. These days it seems like collaboration albums are not being produced because the two artists have chemistry, but rather fans just think they will sound nice together. However, it's evident that PAEday and 7° understand and respect each other as artists. "Early & Often" is an amazing EP but of course two tracks stand out. The first track is "Dead," which PAEday's flow and punchlines are some of the best he has given. The second track is "U Know Who" which features Josi Green, fans will appreciate these two back and forth as well as how this 7° production seems like it created explicitly with these two in mind. It was interesting to learn that PAEday took a year off from music in 2015, considering it seems like he is always working. He is currently also working on a "Black Vibes Matter" movement. Right now fans can purchase hats in support of the movement, and also still expect "Black Vibes Matter" album sometime next month. Click the link below to check out "Early & Often."